Myra Golden’s engaging training with your employees focuses on the soft elements of service – the sound, flow, and feel, so that your employees go back to work fully prepared and inspired to express the soul of your brand, and assured in their ability to handle challenging customers. 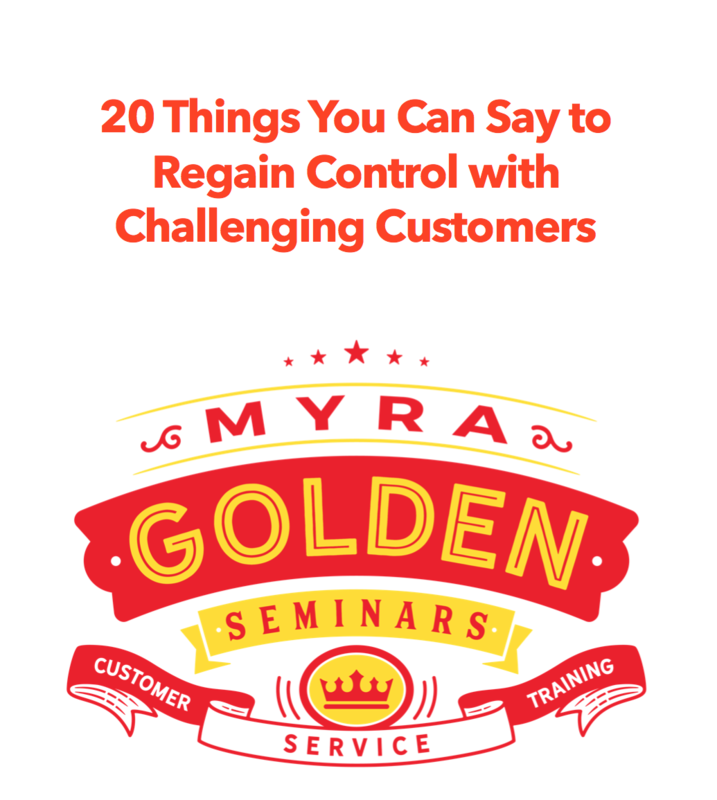 We’ve condensed Myra’s behavior-changing and inspiring onsite customer service training down to the fundamentals, and your employees get the full sensory experience of Myra’s training online. If your company has a Learning Management System, you can upload our courses to your system for an energetic, engaging customer service training experience. We give you all of Myra’s classes in SCORM 1.2-compliant format, and you’ll have Myra Golden as your personal trainer! Your people will walk away from your new training more assured in their ability to control calls and handle challenging customers, and they’ll deliver warm and empathic interactions over the phone, email, text, or chat. If you’re not completely satisfied with our engaging, customized training, and the results our training brings, we insist that you let us know. We’ll help you make our training work for your employees, or we’ll eagerly refund your money.